Sometimes, all it takes to make a good first impression is a beautiful, bright-looking smile. 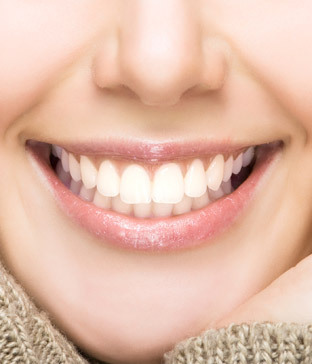 Fortunately for you, a whiter smile is easily achievable through the Lansing teeth whitening services that we offer. While the color of your teeth is not a surefire indicator of the condition of your oral health, whiter teeth is generally considered to be healthier-looking. In fact, psychological studies have shown that patients with whiter teeth pay more attention to dental and oral care in order to preserve and maintain the healthy look of their teeth. Other benefits of white teeth include boosting a person’s self-esteem and confidence, and leading him or her to be more open in social situations. Still unconvinced? Teeth whitening in Lansing requires no cosmetic surgery, and therefore no hassle or fuss of extra dental appointments, shots, or the nerve-wracking anxieties normally associated with surgical operations. Teeth whitening can be a long process that can take days or weeks, but it doesn’t have to be. We offer a laser bleaching service that shortens the time required to completely whiten teeth to just one dental appointment. Your dentist applies a hydrogen peroxide whitening gel to the surface of your teeth and uses light energy to excite the peroxide molecules in order to speed up the tooth whitening process. It is an easy, pain-free procedure that only takes 30 minutes to an hour to complete, and is accessible right here at your local dental practice in Lansing. We also offer teeth whitening solutions that you can easily perform at home. Bleaching trays that you fill with small amounts of whitening gel can be inserted comfortably in your mouth and over the teeth. This is done for 30 to 60 minutes each day until you finally achieve the shade you want. While over-the-counter bleaching trays are readily accessible at pharmacies, better results are achieved with custom bleaching trays that your dentist can provide. At our practice, we offer trays that are custom-fitted to the shape of your teeth in order to increase comfort and the effectiveness of the teeth whitening gel. Teeth are not naturally completely white, but we understand the social stigmas attached to having discolored teeth, and recognize the benefits of having a whiter, brighter smile. Because of this, we are proud to provide safe and effective teeth-whitening options that can be performed at home or in-office. If you need more information about Teeth Whitening in Lansing, contact us today.